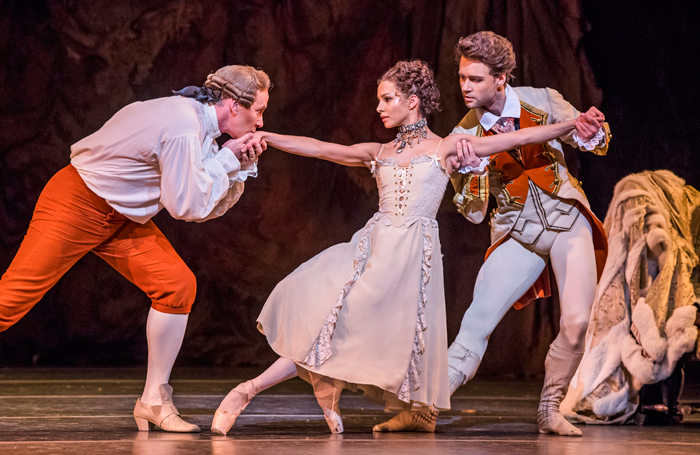 Revelling courtesans, venal bourgeoisie, show-stopping pas de deux… Kenneth MacMillan’s Manon is back at Covent Garden. 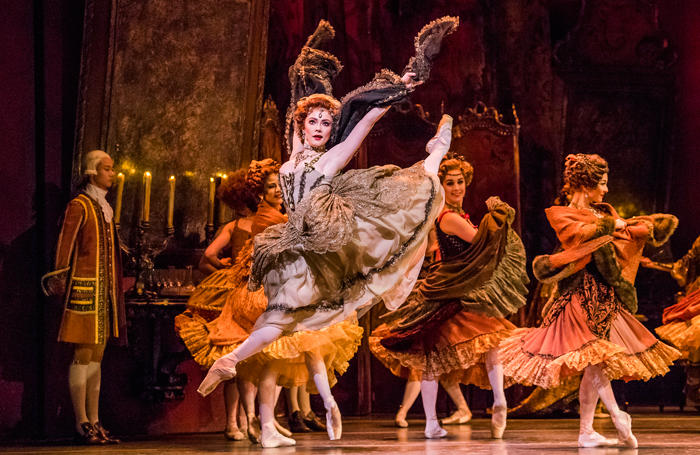 During this run, Abbe Prevost’s doomed heroine – the Hamlet of ballerina roles – will be danced by eight different principals. While the dancers refine their interpretations and the company gears up for final rehearsals, senior stage manager Johanna Adams-Farley and her deputy Sarah Woodward remain sanguine about this dramatic three-act work. To manage ballet, it’s essential to know your way around a stave, following crotchets and quavers instead of dialogue. “We work from a score not a script – you couldn’t do this job if you didn’t read music,” says Adams-Farley. Their duties are many and varied, but one thing the stage managers don’t have to do is cue dancers on to the stage. So how do the managers work to get a production from studio to stage? It’s different every time, they explain. A show like Manon might not need much oversight, but things are getting busier as new productions get bigger and more operatic in scale. Recently the team’s attentions have been taken up with the Leonard Bernstein centenary triple bill, which included new works by Wayne McGregor and Christopher Wheeldon and a revival of Liam Scarlett’s The Age of Anxiety. John Macfarlane’s sets for Scarlett’s production include a Edward Hopper-esque mid-century bar. Originally the whole structure was used in studio rehearsals. “Now it’s revived they didn’t need that, just a mark-out, but quite soon in that rehearsal process they needed us to move into the next scene and re-set the props,” says Adams-Farley. Woodward continues: “We have prop staff who check all the props and make sure they’re in the room, but we oversee that and we will move the props in ballet in the rehearsal rooms. We don’t have staff to help us in the studios like in the opera.” Although, she adds with a laughs: “We’re getting that way now.” For each show there’s an average of four prop staff, who will get to go home early on the rare occasion of a ‘black box ballet’ with no moving scenery. She cites Scarlett’s Frankenstein as a production with the most memorable props. “A lot of blood and guts, real-feeling hearts and a mechanical arm”, which is operated by an assistant stage manager via remote control. There’s shattering glass and “lots of pyros, too”, adds Adams-Farley, “which was quite nerve-racking and scary until we got on top of it, making sure the dancers were safe and not too close”. For Woodward, the recent mixed programme offers an insight into different ways of working with choreographers. “I like to be in Chris’ rehearsals early on. You pick up points in the score that he’ll give certain names to and you wouldn’t know that if you didn’t sit in his rehearsals and learn the blocking.” With McGregor, “it’s much more organic. He works out the steps but he doesn’t know where in the music they’ll go”. Even while working at the opera, Woodward “was always begging Johanna to let me in the McGregor rehearsals. I fell in love with his stuff”. “Theatre’s the only place I ever wanted to work,” says Woodward. She studied at Hull University, thinking she might want to act. 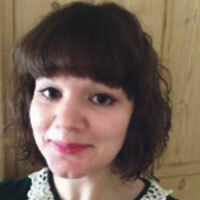 A talk by Hull alumnus David Pritchard, the Opera House’s head of production, set her on course for Covent Garden. Adams-Farley also had early acting ambitions, but an accident in her late teens “shattered my confidence so I decided to go behind the scenes”, she says. She worked at the BBC, in theatre and at London Festival Ballet (now English National Ballet) before taking up the job at the Royal Ballet. A balletomane since early childhood, she recalls “sleeping on the pavement when I was 14 or 15 to get standing tickets to see Fonteyn and Nureyev. I was passionate about it”. The annual tour is “a reward and a challenge – putting things on in smaller theatres in a short space of time”. Last summer, smaller props were made to fit Wheeldon’s The Winter’s Tale into the Brisbane theatre (“which has a very small stage right side of the main stage”). It’s up to Adams-Farley to find essential rehearsal time in a restricted schedule. Covent Garden productions sometimes involve working with actors – Manon has seven in the cast – and animals. Peregrine the pony has long been a star of Frederick Ashton’s La Fille Mal Gardee, but his diva behaviour extends only as far as soiling the stage on occasion (Royal Ballet School students are at hand with dustpans). After arriving through the stage door, he waits side-stage, chewing hay and polos until his call, when Adams-Farley collects him with handler George. The managers are also responsible for cueing on a pair of “very well-trained doves” in Ashton’s The Two Pigeons. Avian and equine performers aside, getting to know the dancers is a big part of the job. “We become best friends with a lot of them,” says Adams-Farley. Crucially, there’s “a lot of trust involved and it’s so nice for the stage management team to stay together, because if you introduce new people it takes time for the dancers to feel confident with them”. Since taking over as senior stage manager, Adams-Farley has always worked with a female team amid the male-dominated technical stage staff. What was your first job (theatrical)? JAF: Assistant stage manager with the Actors Company. SW: ASM at Clonter Opera Theatre. What was your first job (non-theatrical)? JAF: Babysitting. SW: Wine waitress. What do you wish someone had told you when you were starting out? SW: Get your head around tax. Who or what is your biggest influence? JAF: My parents and my godfather; and going with my godfather to the ballet at Covent Garden from the age of two. SW: Teachers. If you hadn’t been a stage manager what would you have been? JAF: Designer. SW: Blue Peter presenter. Do you have any theatrical superstitions or rituals? JAF: Never mention the title of ‘the Scottish play’ or whistle backstage. SW: While calling a show I have to have: three pencils all lined up in front of the monitors facing the same way, my lucky ruler and the rest of prompt corner clear and tidy. I wear the same lipstick or item of jewellery/clothing to take me through a new production from tech week to opening night.